Pikelot Island is one of the outer islands of the State of Yap, part of the Federated States of Micronesia. It is a low coral islet, with a wet, tropical climate. It is uninhabited. The island is known to have a rich ecosystem, with forest and scrub; and extensive fringing reefs. The islet is also home to a major seabird rookery, turtle nesting area and a few mangroves. The islet has no permanent inhabitants, but because of the beautiful wildlife, there are often temporary visitors from surrounding atolls such as Puluwat and Satawal on turtle hunting expeditions. The trip to Pikelot is still carried out in Micronesian style sailing outrigger canoes. It was discovered by Spanish naval officer Juan Antonio de Ibargoitia commanding the vessel Filipino in 1801. 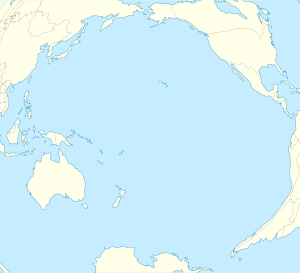 This Federated States of Micronesia location article is a stub. You can help Wikipedia by expanding it. This page was last edited on 26 November 2018, at 02:13 (UTC).